It's my birthday today and I am taking time off to just play and create! I am dreaming of the new office space that I will be creating in our new house soon! 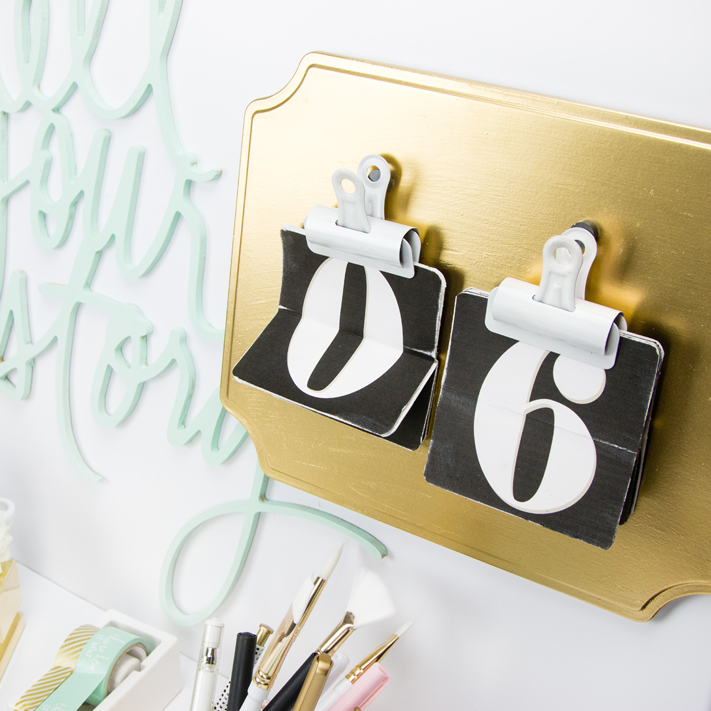 There are so many ideas floating in my head, one of them includes this new flip calendar from Heidi Swapp and Jessica Sprague's newest online class. 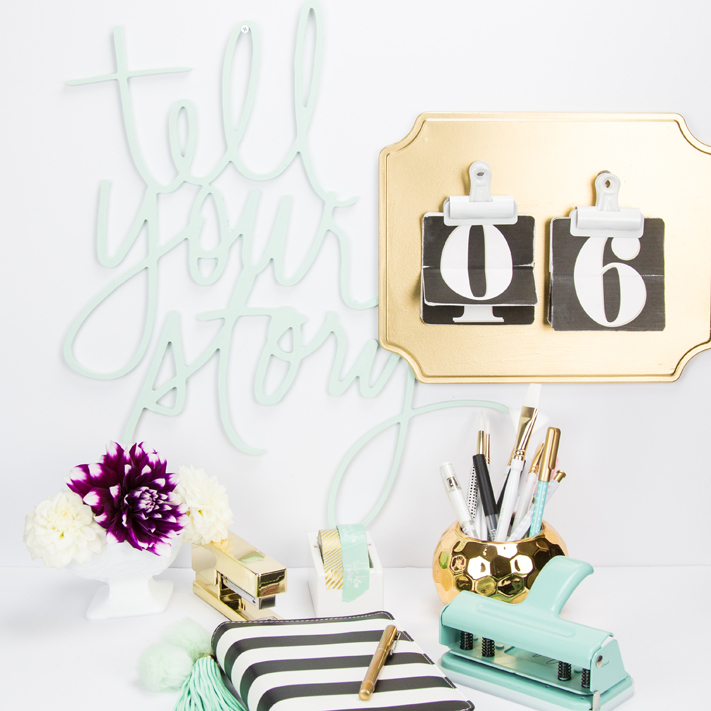 I thought that I would love to make mine smaller to fit on the magnetic board from the Gallery Wall collection at Michaels stores. I had to of course add some texture to it and spray paint it gold. I just couldn't help it! Gold makes me happy. To learn more about this online class, visit the digital version of the class or the class that also includes the kit. Keep learning and growing as an artist or crafter. Even if it means learning right at home!